Grade: C8-C9	Very Fine to Near Mint. Rolled, single-sided. Very minimal handling wear, slight corner bends at bottom. Amazing original condition with bright, bold colors. Gimmie some sugar baby! What an amazing design by comic art master John Bolton! 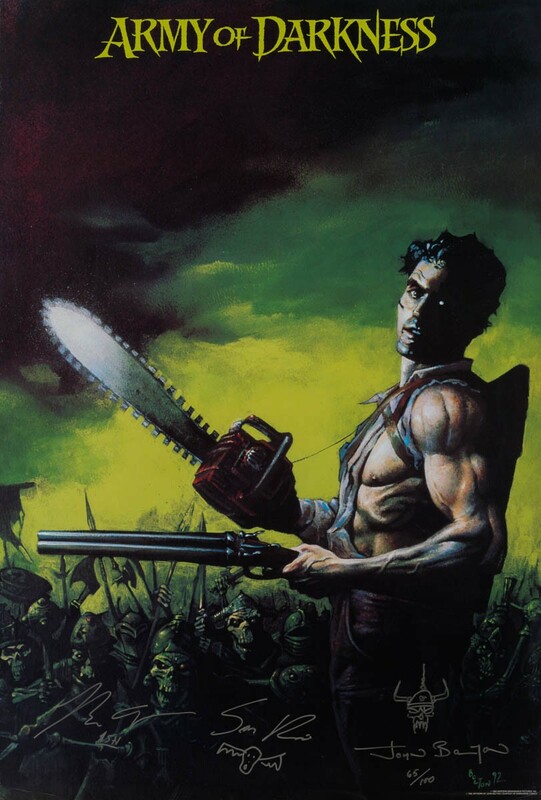 This was the original art used for the Army of Darkness Dark Horse comic released to coincide with the film in 1993. 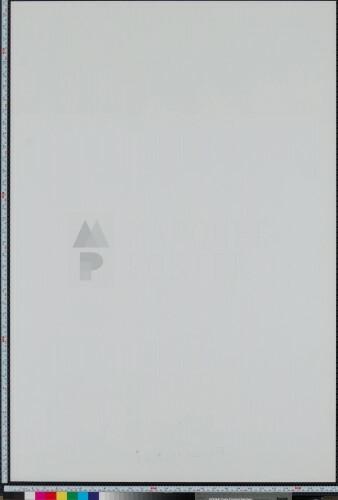 This was an extremely limited numbered-edition for this unique art — the poster for sale is #65/100. 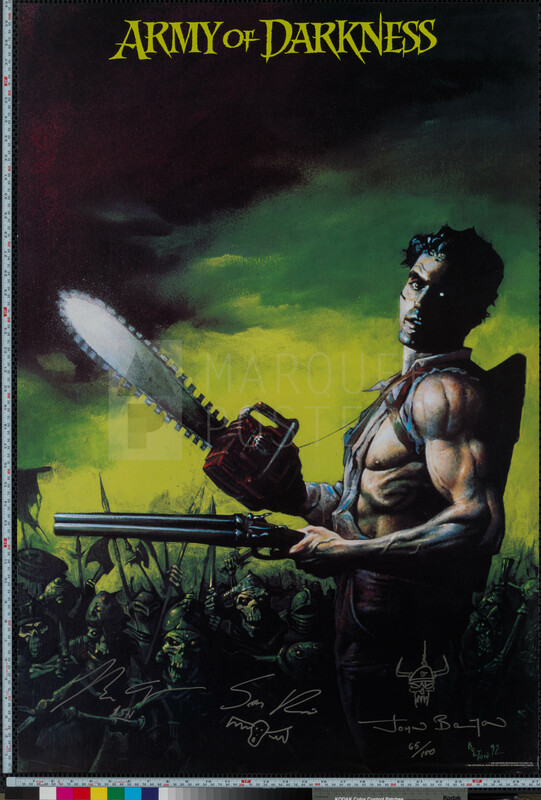 But wait S-Mart shoppers, there’s more — not only is this a small-batch, numbered-edition amazing, unique artwork and composition, but it’s also signed by the artist, John Bolton, Evil Dead and now super-star director, Sam Raimi, and the guy with the chin, Bruce Campbell himself!